It is time to dust off your mood ring, put on your smiley face and dig that lime green leisure suit out of your closet for the next big event at the Cultural Heritage Center in Pierre! The ‘70s Celebration! will be held from 10 a.m.-9 p.m. CDT on Saturday, May 12. Historical presentations, crafts, a photo contest and a disco dance highlight the day’s activities. The event is being held in conjunction with the new exhibit “The Spirit of the ‘70s” on display in the Hogen Gallery in the museum. There is no fee to attend the program, but attendees are asked to make a freewill donation. Refreshments will be served. Visitors will be invited to make pet rocks and macramé jewelry from 10a.m.-4 p.m. Both were popular activities in the ‘70s. A photo contest will be held from 10 a.m.-9 p.m. with prizes for the top contestant in three categories: best disco pose, funkiest hairstyle and grooviest outfit. Contest winners will receive prizes donated by the South Dakota Historical Society Foundation. 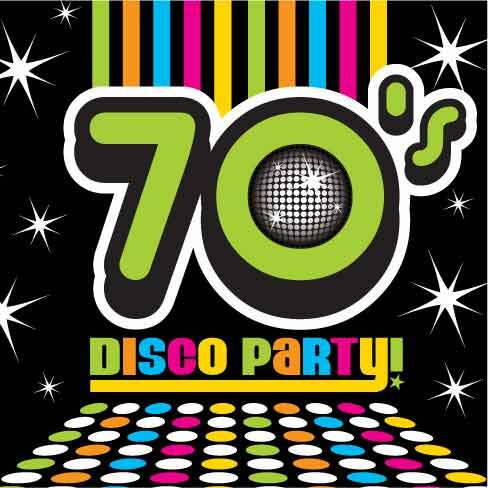 A disco dance will be held from 6-9 p.m. in the lobby of the center. Light hors d’oeuvres will be served, and there is no fee to attend the dance. “We want to make it clear that the photo contest will go on to 9 p.m. and that the museum will be open so visitors can enter the contest and visit the museum even if they do not wish to join in the dance activities,” said Smith. There are no activities scheduled from 4:30-5:30 p.m. but the museum exhibit and photo contest will remain open. “The Spirit of the ‘70s” exhibit features people, places and events that influenced history, society and popular culture both in South Dakota and around the nation. The exhibit addresses such issues as Wounded Knee II and Watergate, the war in Vietnam, and the election of 1972 featuring South Dakotan George McGovern, the Democratic nominee for President. While the decade was filled with weighty issues and events, the decade was also filled with “less serious” cultural touchstones like mood rings, disco dancing and fashion accessories like leisure suits and platform shoes.